Caldwell Mobile Accessories are guaranteed to offers the the best two way radio protection you'll find anywhere, or your money back! Ski Patrol and many more! 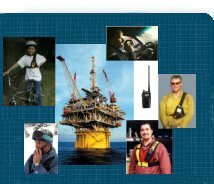 CALDWELL MOBILE ACCESSORIES WILL HELP YOUR COMPANY REDUCE OR ELIMINATE LOST OR DAMAGED TWO WAY RADIOS DUE TO DROPS AND FALLS IN THE WORKPLACE.